There has been many talks that juicing is not healthy and that juice cleanses hurt you. This couldn’t be further from the truth. A properly well done juice cleanse is medicine to your body. Its natural raw organic nutrition to heal, reset, renew and rejuvenate your cells, tissues and organs on a cellular level. Weightloss is just one of many side effects that happen during a juice feasting cleanse. Weightloss is the top one reason why people do a juice cleanse. Many Hollywood starts from Salma Hayek, Gwyneth Paltrow, Nicole Ricthie, Alicia Silverstone, Julia Stiles, Olivia Wilde, Fergie and husband Josh Duhamel all swear by Juice cleanses for loosing weight, having more energy and feeling younger. 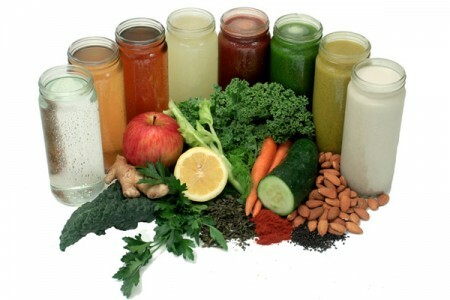 Many companies do promote juice cleanse for weight-loss cause lets be honest its an easy sell. People these days will do anything to loose weight. Question is it healthy? To answer that question You must need to first understand the how and Whys? You are what you eat, but you are also what you drink. When you are dehydrated, your body goes into preservation or fat storing mode. Every day that you eat or drink the wrong things or dont drink enough water you put your health at risk. If your body gets overwhelmed and continues to deal with a major acid intake, your body will begin to store fat to protect your cells, tissues and organs. Thats right you heard me right Your body protects you by expanding your fat cells and storing toxins and chemicals. Your stored fat is actually working to save your life. But its also making you sicker and or fatter. How Ironic is that. Acidic Damage in your body is not healthy, your body will not only store fat but will also start to leach minerals from your bones, heart and muscles. Your body will go to unbelievable lengths to protect you. But at the same time it isnt cause its making you sicker. Ever heard the saying we as a society are “overfed but undernourished”. Great documentaries to watch is Vegucated, Hungry for Change, even Fat Sick and nearly Dead. When you do a Juice cleanse properly you cleanse your body on a cellular level. Did you know? That digestion takes more energy than any other internal function in our body. Energy is a key factor in your body’s ability to loose weight permanently. Energy regenerates your whole body from your liver, tissue cells, flushes toxic waste from your body and helps maintain ideal body weight. And those are just a few of the many things energy regenerates. When you are on a juice feasting cleanse your digestion is turned off, the body now has 100 percent of its energy dedicated on purely healing and fixing itself. 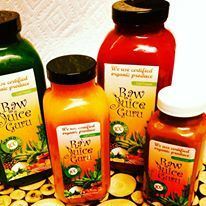 Raw Juice gets absorbed by your body within 10 to 15 minutes. With that your body releases some of the toxins its holding on to, as a result fatloss and healing happens. The less energy your body has to spend on digesting the more energy it will have on cleaning out the old toxic material that has been stored in your fat cells. Along with the fat loss your digestion will function better, your skin will glow, your energy will go through the roof, you will feel and look younger. All because your body has loosened the toxic built up sludge it had. I know what some of you are thinking Pulp is fiber and our body needs it. Yes it does and yes Raw juice has fiber. Don’t confuse pulp with fiber. They are two very different things. The juicer you use determines the amount of fiber in your Raw Juice. Cold Press slow masticating Juicers do contain the soluble fiber your body needs. Lower grade juicers that are centrifugal will not. Juicing for weight loss, particularly when vegetable juices are emphasized, is one way to ensure that you choose a healthy weight loss regimen that does not sacrifice good nutrition. Remember The amount of nutrients, live enzymes, amino acids, vitamins, minerals, antioxidants, and phytonutrients in raw juices are HUGE. Again the juice cleanse has to be done properly. So how long should you cleanse? Any amount of time you do will benefit your body. But the longer you do the deeper your body will dig at removing the layers of toxins, chemicals and sludge in your body. Ten days or longer will get you the most amount of health benefits. But dont let that stop you from doing a three or five day cleanse, any amount of time you allow your body to heal on a cellular level is amazing. So whether you get your juice cleanse through a company or you do it yourself, Remember fatloss is just one side effect to doing a juice cleanse. Don’t let it be the only focus, cause you will drive yourself nuts. Your body knows what to do with the raw juices, let it work on its timeline not yours. We demand things to happen instantly, we always want that quick fix to everything. Your body has alot of damage to undo, let it do what it needs to do. Trust me your body is extremely smart and very efficient, it knows. Juice cleanses are very safe to do. You will not be starving or missing any nutrients. When done properly your body will be fed nutrients and live enzymes that it has not gotten in years. There is a tendency for the body to send confusing signals to your brain, many when on a juice cleanse mistake thirst or dehydration for hunger. This happens from the habits we have created from sugar cravings, to salt to caffeine. And remember If you dont get enough water, your body will actually retain water and feel bloated and uncomfortable. If you are on any serious medication do make sure you tell your doctor and the juice cleanse company so you are monitored. In conclusion, Including Juicing in your everyday life is a great way to ensure you are getting the live enzymes and nutrients your body needs to function efficiently. Juice feasting cleanses are extremely safe when done properly. Wether you juice cleanse at home or you go through a juice cleanse company, make sure that the juice cleanse is tailored to your health and requirements. Ask questions and educated yourself as much as you can. Let wisdom not impulse, guide you in what you choose to put into your mouth.